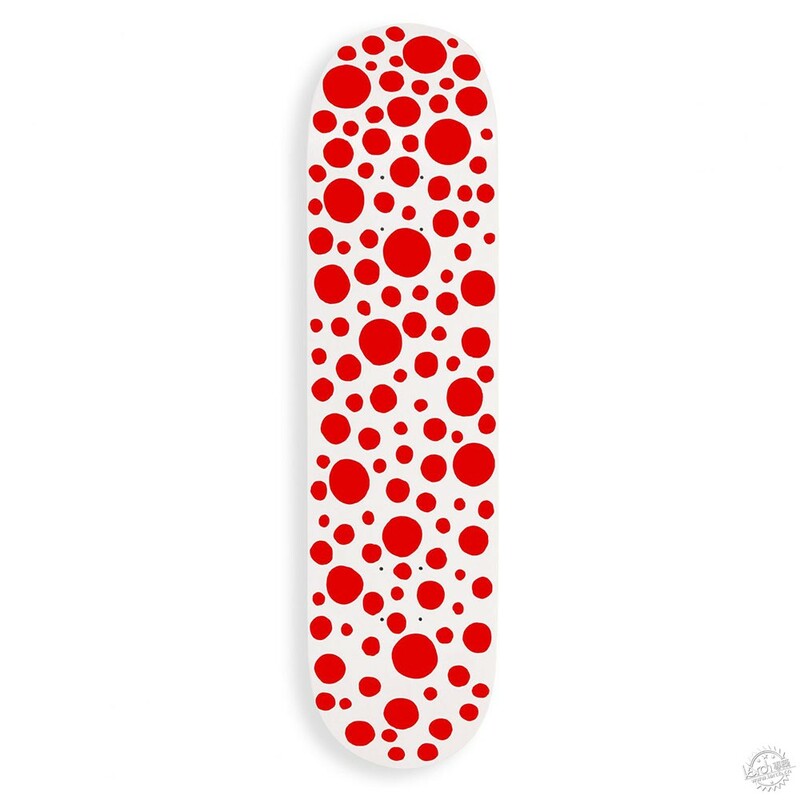 Japanese artist Yayoi Kusama has added four designs to a collection of limited-edition skateboard decks, sold at the Museum of Modern Art Design Store in New York, which are covered in her signature polka dots. 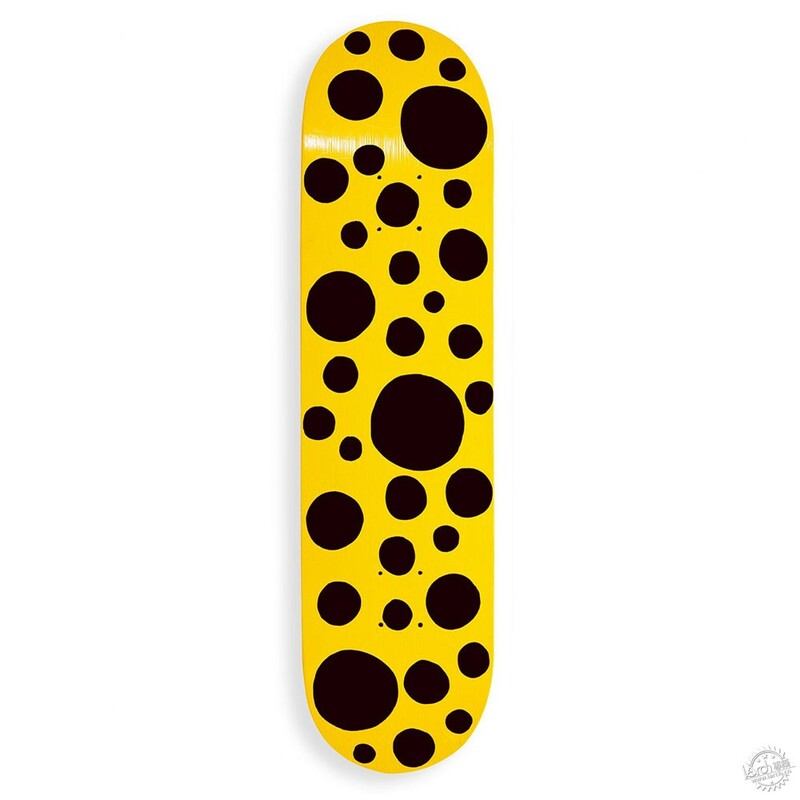 The Dots Skateboards are exclusive to the MoMA Design Store, and feature patterns that Kusama hand-painted onto the undersides of the wooded decks. 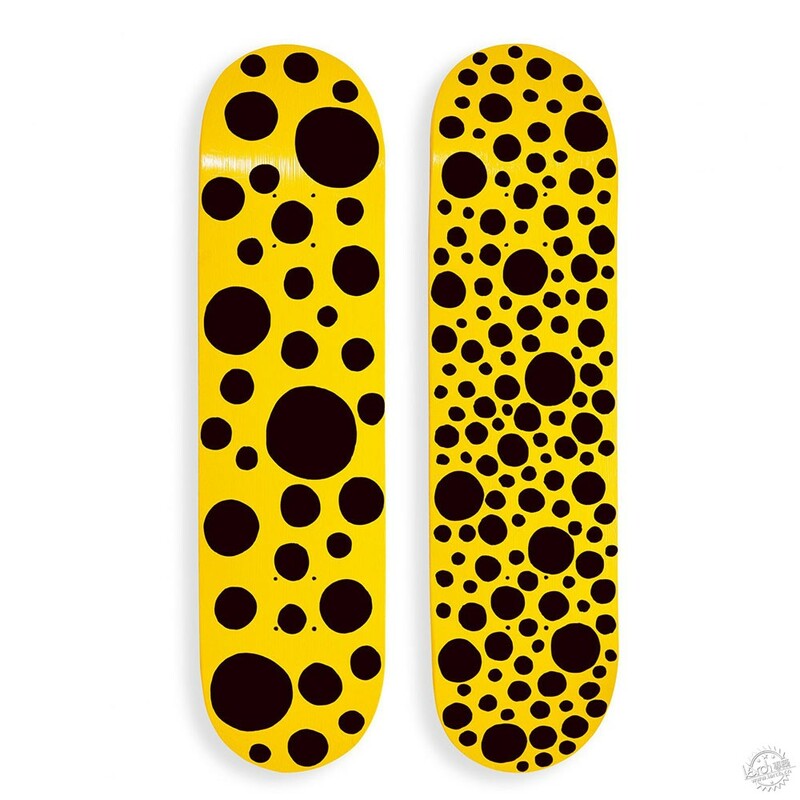 The boards come in two colour combinations: red dots on a white deck, or black dots on a yellow background. Both options are available with large or small spots. 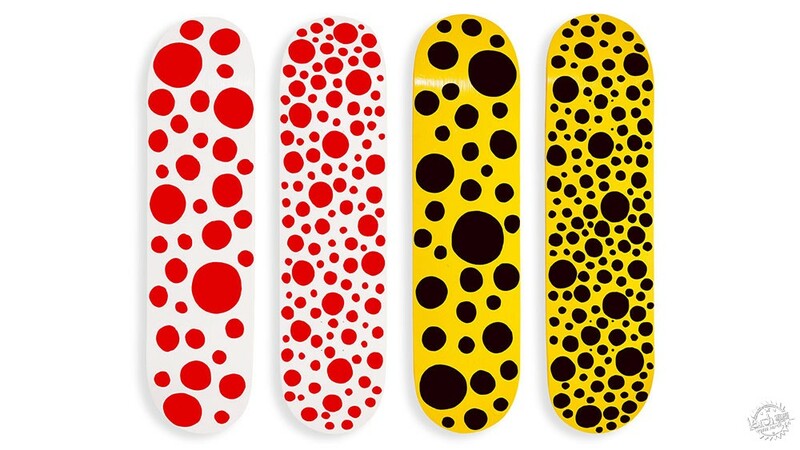 The designs form a continuation of Kusama's "dot" series of artworks, for which she has applied circles of colour to everything from naked bodies to Philip Johnson's Glass House since the 1950s. 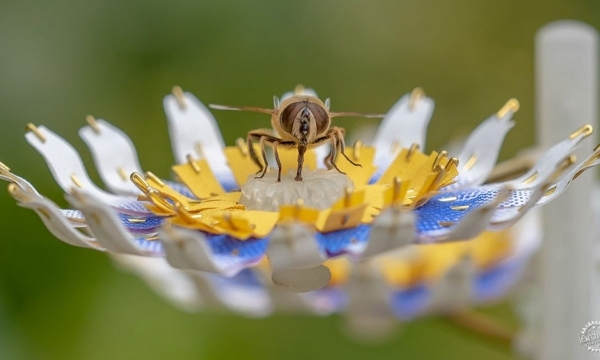 Her self-proclaimed obsession with polka dots has also resulted in a variety of immersive installations, where they decorate walls, floors, ceilings and objects in rooms that are otherwise painted in a single hue. 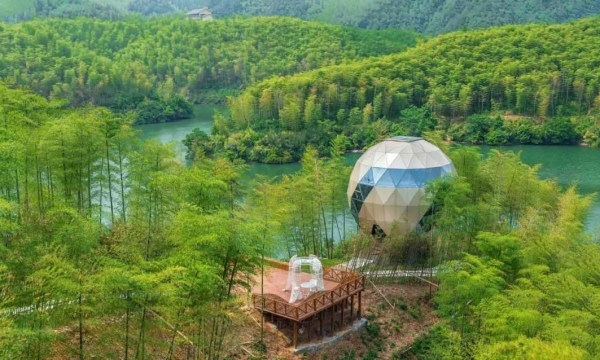 These have been exhibited at museums and galleries around the world, including David Zwirner in New York, Louisiana in Denmark, and Victoria Miro in London. 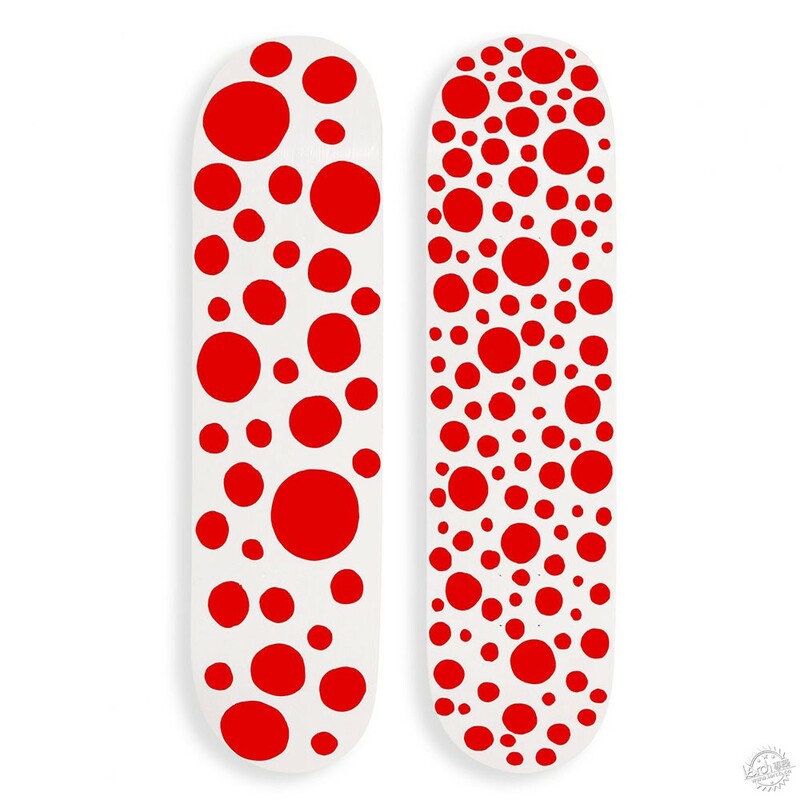 Kusama's skateboards follow previous deck artwork she has created. These include grey-and-white geometric patterns in 2000 called Triptych, which reference her Infinity Nets exhibits, and designs with black dots on yellow backgrounds called Yellow Trees in 1994. MoMA Design Store sells a variety of skateboards, adorned with works by well-known artists like Andy Warhol and Jean-Michel Basquiat. Each deck is made from Canadian seven-ply maple wood and comes without wheels. Kusama, 89, voluntarily resides in a psychiatric institution in Japan, where she continues to work on art projects. For a recent installation, she scattered 1,500 mirrored balls across a hurricane-damaged warehouse in Queens. Last year, The Broad museum in Los Angeles had to impose a 30-second "selfie rule" at an exhibition of her work, because visitors were taking too long posing in her immersive pieces.